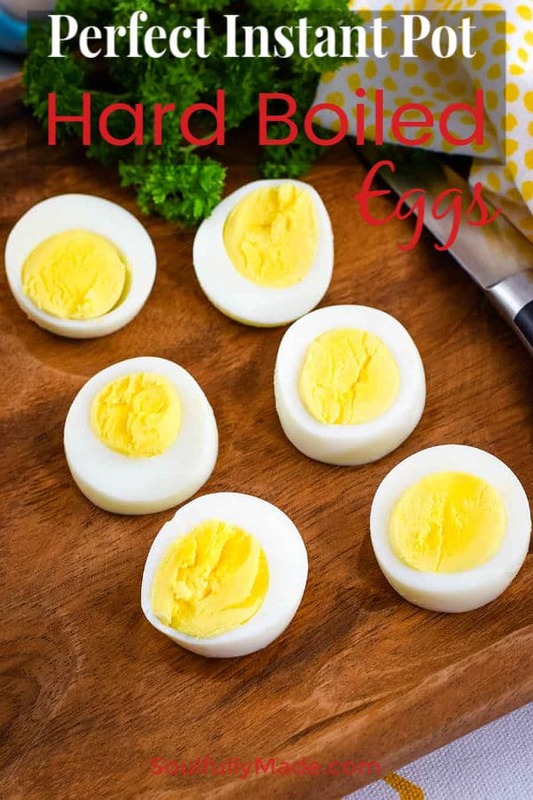 Looking for the Perfect Hard Boiled Egg Recipe? 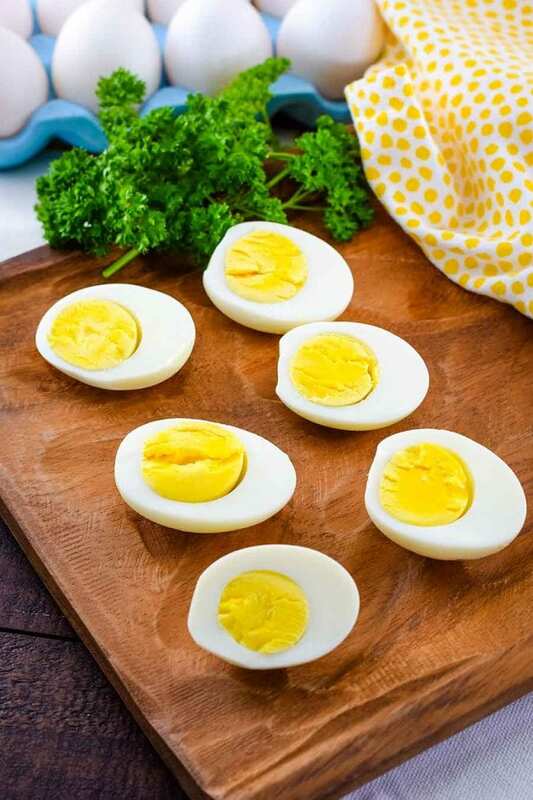 Look no further – Instant Pot Hard Boiled Eggs are easy to peel and cooked to perfection each and every time! A hard boiled egg is perfect for breakfast, a midday snack, they are great on salads, deviled eggs and so much more. 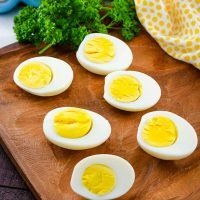 Creating the perfect hard boiled egg isn’t really rocket science (although sometimes when boiling it seemed like it), but I would say the most pesky thing about boiling them has always been the peeling. The other was that greenish grey ring that sometimes reared its ugly head. 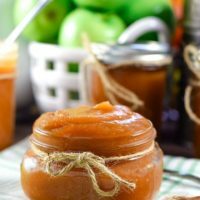 Once I started making them in the Instant Pot those little problems were all gone. Below, I will be sharing two methods with you. Making Hard Cooked Eggs with each of these methods come out just perfect each time. I decided to share both of them with you, because for a while now I have used the 5 – 5 -5 Method. And recently switched to the 8 minute Steam method. It knocks a couple of minutes off the process and is a full quick release method. Feel free to try either or both, but honestly you get the same delicious egg either way! Pour 1 cup of water in the inner pot of 6 Quart Instant Pot. Liquid allows the electric pressure cooker to come to pressure. Place large eggs on top of the trivet that comes with the instant pot or on top of an egg rack insert. Put the lid on the pressure cooker and seal to locked position and make sure the valve is sealed. Set to Cook 5 Minutes – Manual High Pressure and adjust timer to 5 minutes. After Cook Time is complete, Natural Release for 5 Minutes (this means to let the eggs remain in the Instant Pot and leave the valve closed). I set a time, because I always get busy and lose track of time. Once the 5 minutes Natural Release is up, open the seal valve by pushing to open position with a wooden spoon, kitchen towel, or tongs to release any remaining pressure. Carefully remove the eggs from the pressure cooker and place in an ice bath (a large bowl of water with ice in it – don’t feel all the way full – being sure to leave room for eggs). They will be extremely hot, so use tongs or a pot holder. Peel these perfect eggs and enjoy! Put the lid on the pressure cooker and seal to locked position and make sure the valve is in sealed. Use the Steam Button and set the time for 8 Minutes. Once the 8 minute Time is Up, do a Quick Manual Release. Push open the seal valve with tongs or a wooden spoon. After the pin or valve drops remove to an Ice Water Bath to stop cooking. Then remove from Ice bath and peel those perfect eggs! Results are beautifully golden yellow eggs that peel like a dream and are absolutely creamy DELICIOUS! AND BOTH METHODS WORK MAGICALLY! This recipes has been tested with large eggs. I would reduce cook time 1 minute for medium eggs and increase cook time 1 minute for extra large eggs. I really have not found a difference in cooking 1 or 12 eggs they cook the same. I do recommend a stackable egg rack if putting more than 6 or 8 on the trivet. Overcrowding can cause them to crack. Tap the eggs on the counter in a few places or gently roll the eggs on the counter top to crack. Then use fingers to pull away the shell. Either way they peel like a charm! TIP: It is best to peel the eggs immediately after removing from the ice bath for best results! Hard boiled eggs can be stored at room temperature for 2 hours. They will last in the refrigerator for 7 days. Cooked egg yolks can be frozen, if desired. 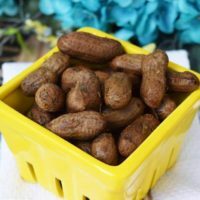 Place them in a freezer bag and store in freezer for up to 3 months. Egg whites do not freeze well, they have a rubbery texture. *Soulfully Made is a participant in the Amazon Services LLC Associates Program, an affiliate advertising program. Please note: This post may contain affiliate links to products I use and love. I earn a small commission, at no extra cost to you, to help with blog expenses when you make a purchase through an affiliate link. Thank you for your support! Using Instant Pot 8 Minute Steam Method or a 5 - 5 - 5 Pressure Cook Method, you will have perfectly cooked Hard Boiled Eggs every time. Pour 1 cup of water in the inner pot of 6 Quart Instant Pot. Set to Cook 5 Minutes - Manual High Pressure and adjust timer to 5 minutes. Once 5 minute Natural Release is up, open the seal valve by pushing to open position with a wooden spoon or tongs to release any remaining pressure. Carefully remove the eggs from the pressure cooker and place in an ice bath They will be extremely hot, so use tongs or a pot holder. Once the time is up, do a manual quick release. Open the seal valve with tongs or a wooden spoon. Once pin or valve drops remove to an Ice Water Bath to cool for 5 Minutes. Notes: BOTH METHODS WORK MAGICALLY! If cooking more than 6 to 8 eggs I recommend a stacking egg rack for the Instant Pot. You can also see this over at my favorite link ups Meal Plan Monday and Weekend Potluck. 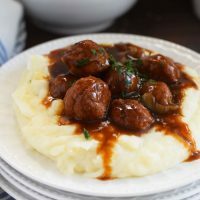 LOVE SOUTHERN INSPIRED RECIPES COME FOLLOW ALONG! If you share a picture of something you make from our blog, tag it with #SoulfullyMade so we can see it. We might feature it on Instagram! It makes my day when I see you’ve made one of our recipes! 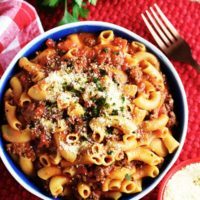 Get Free Recipes from Soulfully Made delivered right to your inbox! I'm Nikki and so glad you're here. Please pull up a chair and gather around the table, as we form friendships, cook meals, and make memories to last a lifetime. GET THE LATEST IN YOUR INBOX! Copyright © 2019 Soulfully Made. ALL RIGHTS RESERVED. ALL CONTENT PROTECTED BY FEDERAL COPYRIGHT LAWS. NEVER miss a RECIPE! Subscribe to our email list.